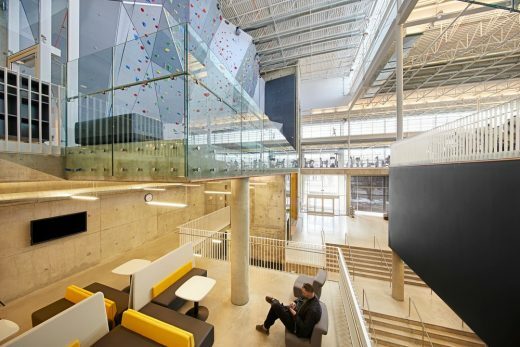 The Active Living Centre at the University of Manitoba was recently named a 2016 NIRSA Outstanding Sports Facility Award recipient. 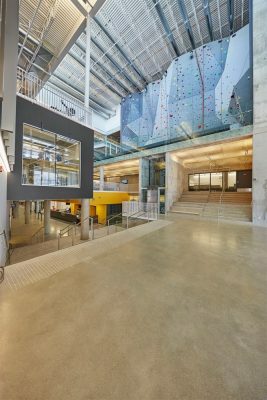 The awards, open internationally, recognize the innovative design of new, renovated, or expanded collegiate recreational facilities. 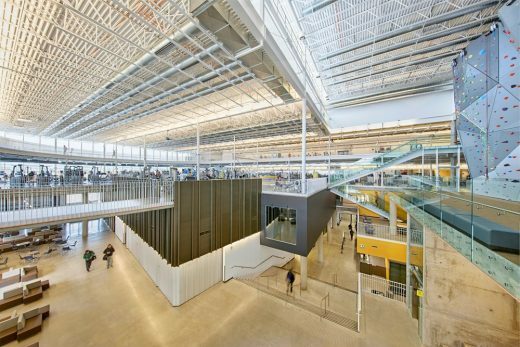 This marks the first time since 1988 that a Canadian building has won the award. 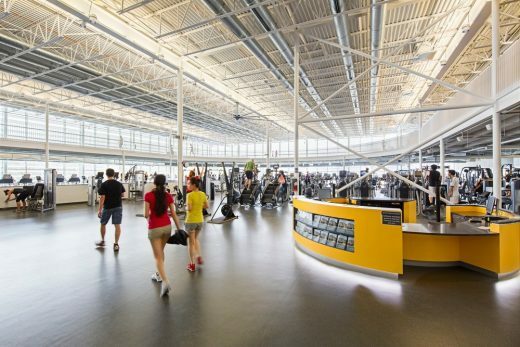 Designed by Cibinel Architects Ltd + Batteriid Architects, the Active Living Centre was noted by the National Intramural-Recreational Sports Association (NIRSA) as a facility that exemplifies excellence in a number of critical areas, including architectural design, functionality, and how well the facility meets its intended purpose. 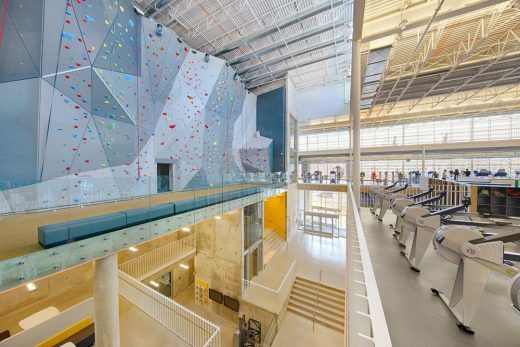 As the keystone of the university’s Fort Garry Campus, the 100,000 square foot, LEED Silver targeted facility boasts features and attractions such as a 12-metre climbing wall, an elevated 200-metre running track, and over 1000 pieces of free weights and accessories. 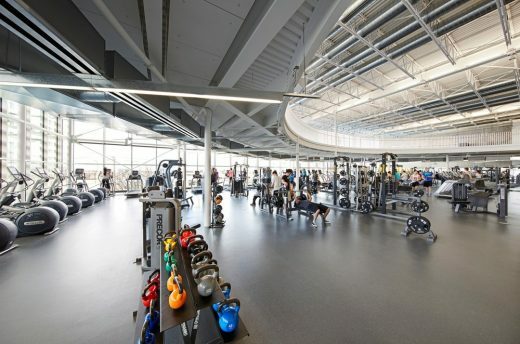 A research centre, strength and conditioning facilities, and three group workout studios complete this state-of-the art facility. George Cibinel, the project’s Design Director, describes the facility’s importance to the campus and its relationship to the community, “the project is located at the corner of University Crescent and Dafoe Road, across from the campus Welcome Centre, which is an important pedestrian entrance to the campus for people arriving by car or by bus. 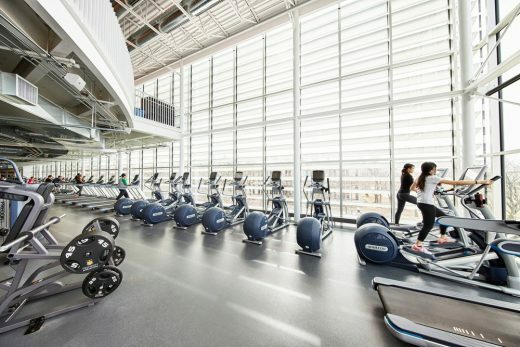 The mandate of the University was to take this opportunity to create a dynamic and vibrant facility that would introduce students, faculty and staff to recreation as a healthy lifestyle and to create a place where they would love to stay”. 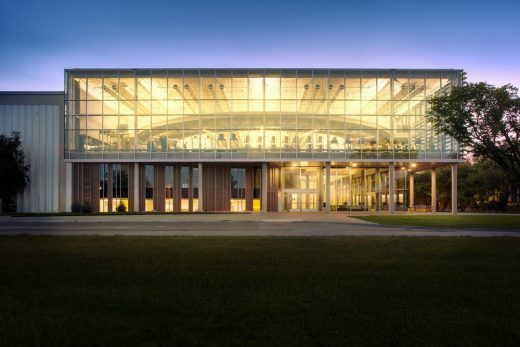 The award is the sixth received by Cibinel for projects they have completed on the University of Manitoba’s two campuses. 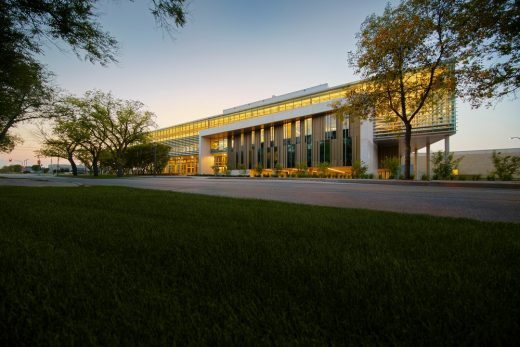 Cibinel Architecture is a mid-size consulting office located in Winnipeg, Manitoba, Canada, offering personalized service to institutional, recreational, corporate, cultural, and commercial clients. 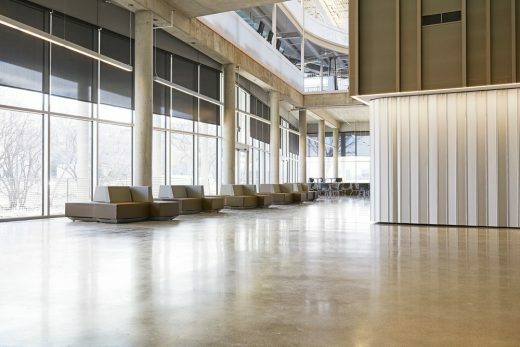 Having grown into a respected design studio with an international reputation for leading edge solutions to building projects, Cibinel focuses on projects that embody a message. 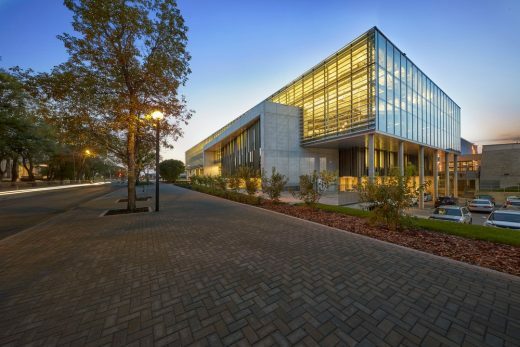 The firm enjoys getting to know their clients and communities and crafting this understanding into a building with unique cultural and expressive meaning. 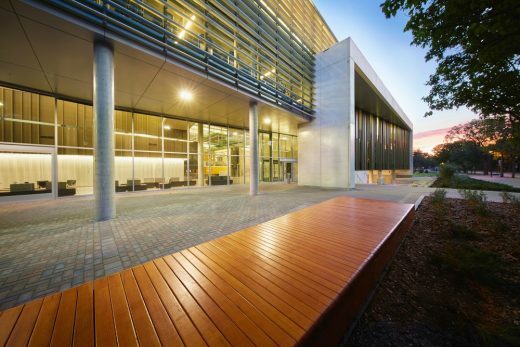 The resulting architecture is an expression of what is most important to the client and an embodiment of functionality as it relates to their needs. NIRSA is the leading resource for professional development, education, and research in collegiate recreational sports. 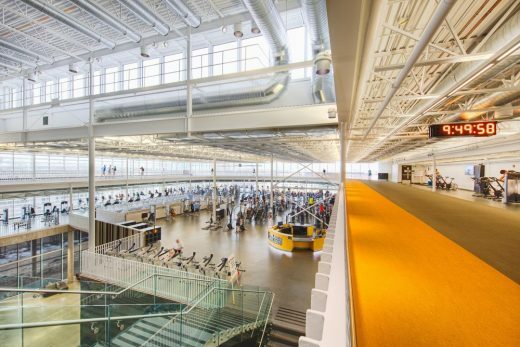 As a contributing member of the Council for the Advancement of Standards in Higher Education (CAS), NIRSA/CAS have authored the preeminent set of standards for the development of recreational sports facilities. The NIRSA/CAS Recreational Sports General Standards are used by institutions internationally as a road map for planning and aligning programs with institutional missions, holistic learning, and the development of students.